People, ideas, inventions. The ability to think ‘outside the box’ and be innovative, starting with raw materials; refusing to accept the constraints of what has always been done before. This is how new paradigms emerge: references and benchmarks that become a model offering new solutions. We started from a profound knowledge of the methods, techniques and products in our original sector, to identify new paths. Knowledge gained in over forty years of the group we belong to, which has always stood out for its ability to innovate production technologies, processes, products and logistics in the ceramics industry. 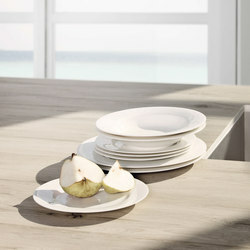 Laminam was founded in 2001 from an idea conceived by Ing. Franco Stefani, a trailblazer in the ceramics industry, who designed this product and created the production technologies needed to produce it. 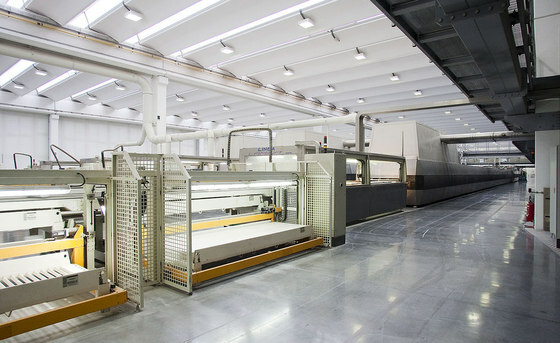 Our origin is the patent for the production technology for manufacturing large-sized, ultra-thin ceramic slabs, which in the early 2000s was a completely new product - ultra-thin ceramics - and gave a new impulse to this mature sector. From here, we began to imagine new and innovative uses for this material, exploiting its potential to the full, both in the conventional fields of application such as architecture and indoor and outdoor floor and wall tiling, and in new sectors, such as furnishing and technologies for generating energy from renewable sources. 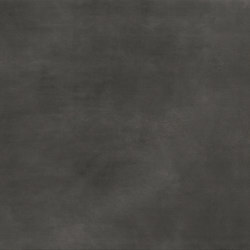 Today Laminam produces eclectic and versatile large-size ceramic surfaces used in many applications in traditional and advanced architecture, furnishing and design. 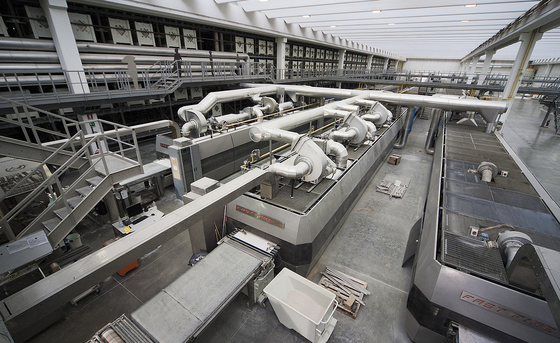 Laminam benefits from a highly-automated manufacturing process used to make its revolutionary, large ceramic slabs in various thicknesses and extremely flexible specifications. Most of the technologies used at Laminam were created by System Group, the top provider of plant and equipment for the ceramics industry. This guarantees Laminam access to experimental technologies and processes, giving it a competitive edge. The manufacturing process at Laminam revolves around an exclusive system to compact highly selected and refined clays and feldspars, an industrial process that turns our raw material into quartz. 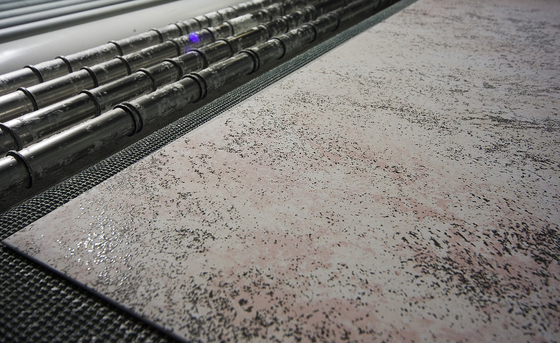 The other top technologies used at Laminam include sophisticated slab decoration systems, low energy hybrid gas-electric kilns and dry cutting systems to reduce water consumption and water processing costs. 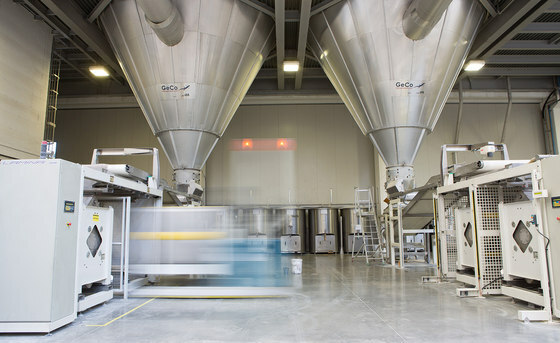 Recycling raw materials and energy are among the founding principles of our production system. Laminam makes its products exclusively in Italy at its Fiorano Modenese premises, right in the heart of the Modena area; this means it can be confident of the ultra sophisticated skills and professional know how of its personnel at every company level, from production to research. 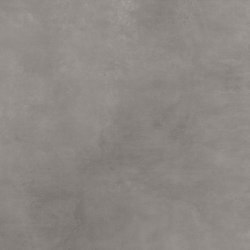 A truly innovative product like Laminam’s large ceramic surfaces often has implications in terms of the skills needed to fit it, especially in the field of building and interior decor. Laminam Service was set up to overcome any potential issues as a result: this company division focuses on providing support for customers fitting Laminam slabs so that the expertise of its fitters is a guarantee of high quality results. Laminam Service undertakes preliminary feasibility inspections and its in-house engineering team offers advice for architectural projects, the preparation of drawings, the study of tiling layouts, site management and final accounts. Laminam Service not only handles orders from Italy but supports customers from all over the world, handling any necessary paperwork and red-tape, ensuring full compliance with any standards and regulations in the host country. - Slab laying service with specialised Laminam sizes and applicators. Laminam considers social responsibility as a keystone for all its research and development projects: for Laminam, innovation makes sense if the outcome of the research is sustainable, in a world where resources are becoming increasingly scarce and the problem of the impact of manufacturing on the environment is becoming more serious and is felt more and more. Natural raw materials, sustainable technologies (low energy consumption, zero emission of pollutants, low CO2 emission) and products that can be entirely recycled are the three pillars behind the eco-friendly approach at Laminam. Laminam is a member of the Green Building Council, the international network of sustainable building: this means that its manufacturing processes only release water vapour into the atmosphere, that any production waste is reused for other applications without exploiting additional resources, and that its products are designed to be lightweight and with limited bulk to cut down on the environmental impact of any associated transport compared to similar traditional products. Today, Laminam can proudly claim to have taken a big step towards cutting down its carbon footprint: its photovoltaic roof has an estimated capacity of 1.387 GWh, independently generating more than 10 percent of its energy needs from renewable sources and avoiding huge amounts of CO2 being released into the atmosphere. Laminam Expo officially opened in 2013 based on an idea of a space designed to reflect the concepts of freedom, continuity and flatness that are characteristic of Laminam slabs. Since Laminam no longer bears the constraints of cuts and limits, it is an ideal material for architects and designers to work with, whatever the idea or design, as it is perfect as a vehicle for new forms and ways of living.  In order to convey these values, Alessandra Stefani, image & communication manager, intended the Fiorano Modenese showrooms to be places to meet, share knowledge and inspiration, inspired by installations by artists and brought to life by paths stolen from natural contexts in harmony with the notion whereby architecture provides a link connecting man, nature and the environment. And so, the decision to incorporate the huge installation created by artist Luca Pozzi was emblematic. The Majestic Game is a 160 meter long, deep black surface perforated by illuminated apertures, offering a new interpretation of the conventional concept of surfaces by revealing it as a force and energy field; a living, changing skin subject to subatomic and cosmological phenomena that are invisible in ordinary conditions. The presence of the materials in the display space intends to let visitors experiment how they perceive them based on different sensory modes: from the path with loose slabs, accompanied by aesthetic and tactile suggestions, to the massive visual impact of the Lastroteca, containing more than 100 full size slabs that can be viewed immediately, the interactive multimedia area of the videowall allowing visitors to access Laminam’s archives and the magnetic board that architects and interior design can experiment with to create new ideas with samples from all the collections. 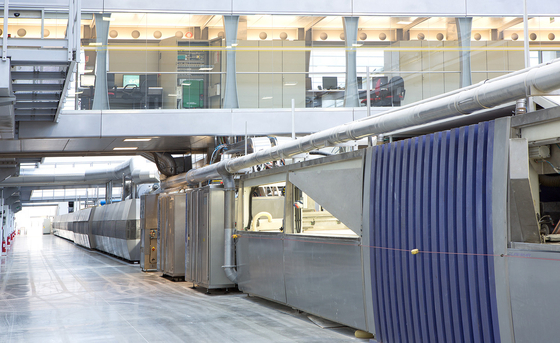 All the technical solutions of Laminam slabs for vertical applications and curtain walls have been brought together in the Technical Applications area. Here, the display aims to show the innovative features of the slabs and their wide range of finishes and ease of installation: an ideal tool when faced with choosing coverings for ventilated facades. Strategically located in Via Mercato 3, in the heart of Brera, the Laminam Milan showroom was designed as throbbing venue for culture and training activities, a place where architects, designers, students and journalists can get together and exchange ideas. The space is in constant evolution, designed so it can regularly shed its skin to fit in with the creative events it hosts. The showroom aims to create a dialogue with the city via a programme of temporary installations and exhibitions of art, architecture and photography, poetry readings, training and refresher courses, lab sessions and workshops for design students who are invited to come and work "in the shop window”. The activity aims to promote and reward the design culture that is a hallmark of the Laminam brand, in conjunction with different firms and people who share an ongoing pursuit for new stimuli, trends, innovations. The space was designed by Nicola De Ponti to emphasise the exceptional features of Laminam slabs, interpreted as a perfect material; the synthesis of delicacy and precision, lightness and geometry. The project puts the architectural nature of Laminam in the spotlight, considered the very essence of the structure with its innovative technology and research into aesthetics, putting the focus on its ability to give the space its identity. 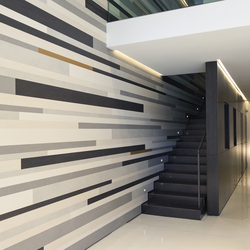 The main features in the showroom are the mosaic-like composition made with selected elements from various Laminam collections, bringing together the two levels of the showroom with dynamic appeal, and the vast ventilated façade hinting at the architectural scale with the visual exasperation of the innovative dimensions of the slabs. On the one hand, the solution was designed to enable visitors to experiment and experience how they can interpret and use this material that goes beyond the function of a standard covering. On the other hand, it is a strategy aiming to convey Laminam as a style, product and brand, creating strong interaction with the visitor based on the belief that a project is measured by the ability to create a relationship with whoever is observing or experiencing it. And, finally, to portray the constant evolution of the knowhow that is expressed by Laminam, the product has also been used for a variety of general applications, including traditional solutions and more innovative ideas, in free associations and forms, giving visitors the chance to explore visual pathways with a strong visual and tactile impact. 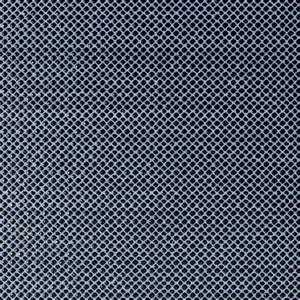 One example is the choice of tactile and dynamic finishes intending to underline how light is reflected and the tactile texture. The result is a welcoming space, whose determined and immediate style is capable of conveying the values of the brand and the revolutionary and creative features of the product. At Laminam, product research and technological innovation aim to achieve continuous improvements to the architectural quality of spaces and so the quality of life for those who use them. Ceramic has always been valued as a material because of its intrinsic resistance to fire, chemicals, heat and frost, as well as for its hygienic nature and ease of maintenance. This is why our slabs are the material of choice for countless applications. 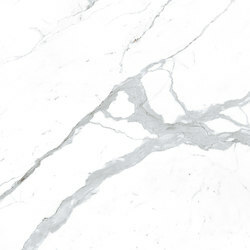 The innovative technology and manufacturing processes used to make revolutionary Laminam ceramic slabs have extended these features, reaching new levels of product performance. The Laminam revolution started from the surfaces: creating ceramic slabs that combine a large size, slim thickness and maximum lightness with high resistance to mechanical stress, chemicals, wear, scratching, deep abrasion and flexion.  These large and perfectly flat slabs are made using a patent-protected manufacturing process, and have made new and innovative applications of ceramic possible. The obligatory consequence of the expansion of the fields of application is the pursuit for diversification of the surfaces, especially in terms of thickness, texture and combination, to meet all the plastic, mechanical and aesthetic needs of new production partners and new end-users. 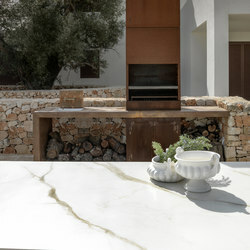 Laminam also introduced technological innovations from the point of view of surface decoration, safeguarding the durability of the features and the colour of the slabs, which are not affected by the passing of time, even when exposed to the weather. 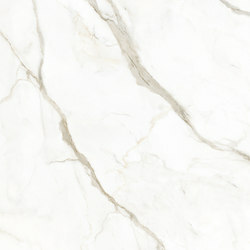 As well as working with designers and graphic designers to create patterns and textures at the cutting edge of aesthetics, Laminam has embarked upon several innovative partnerships with cultural institutions such as the Opificio delle Pietre Dure of Florence, with the aim of creating accurate replicas of traditional covering materials like Arno stone and Carrara marble. Laminam’s research does not forget the company’s focus on the environment: natural raw materials, sustainable production technology, fully recyclable products.This is why Laminam is revolutionary: an eclectic surface, suitable for many applications, whether indoors or outdoors, and a wide variety of fields, from traditional or modern construction to furnishings, interior design and shipbuilding. 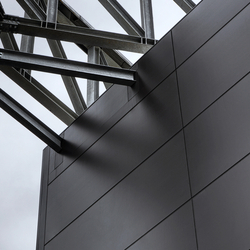 Alongside its own range of products, Laminam’s established relationships with production and research partners, has led to the development of systems for specific applications, such as Laminam Esterna (ceramic coverings for ventilated facades) and Laminam On Top. 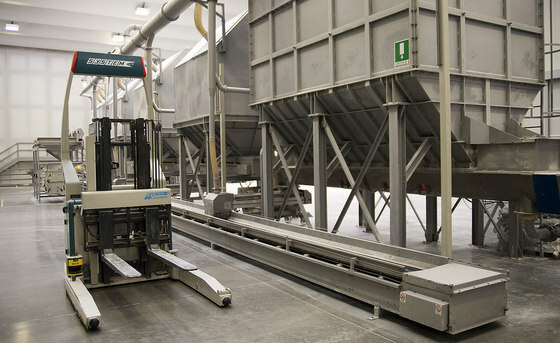 The research conducted by Laminam and Metra, a company specialising in the production of aluminium profiles for the building industry, led to the development of the Laminam Esterna system. 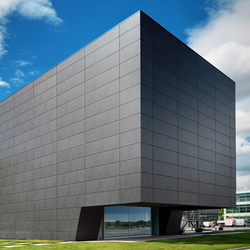 This innovative system combines the acknowledged excellence of Uranus Wall systems for ventilated facades with the unique aesthetics, light weight and size of Laminam ceramic slabs. 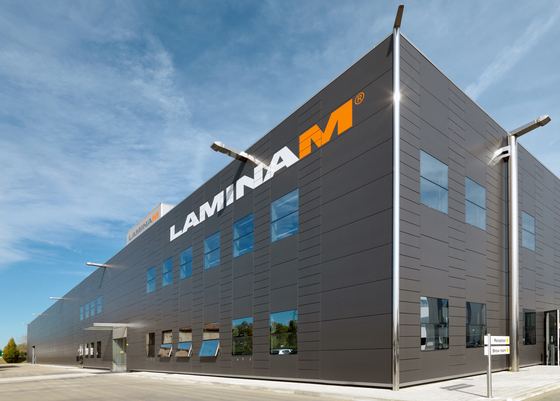 Thanks to Laminam Esterna’s extraordinary ease of installation, thermal and acoustic insulation and energy saving properties, it is an ideal alternative to coverings for ventilated facades in natural stone, glass, fibre cement, aluminium and composite panels. 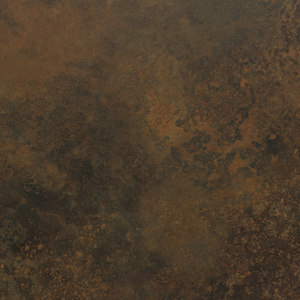 The perfectly flat surface of Laminam slabs allows them to be widely used in interior design as they can easily be used to make doors, partition walls and all kinds of worktops, starting from kitchen counter tops. 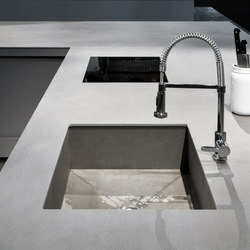 On Top is the system developed by Laminam for horizontal applications of large ceramic slabs, more specifically for kitchen and bathroom worktops, but also for use in public places or outdoors. The Laminam On Top system is resistant to chemicals, wear and flexion, fire, shifts in temperature, UV light and staining. It is a hygienic and easy to clean surface with low maintenance costs. 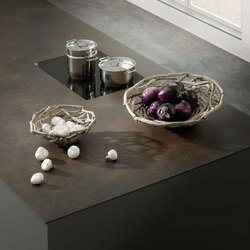 Scavolini has added 7 Laminam surfaces for kitchen tops to its product range. 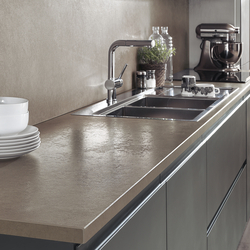 As part of a broader agreement, Scavolini will distribute Laminam surfaces to its dealers from 2014. Laminam has launched a major partnership in the furniture industry with Lualdi Porte. A collaboration that came about with the completion of Laminam Expo and the interest shown in flush doors with the Filo finish that Lualdi displayed at the Made Expo in Milan. The initial collaboration has led to a partnership joining Laminam and Lualdi Porte for the publication of a catalogue together. 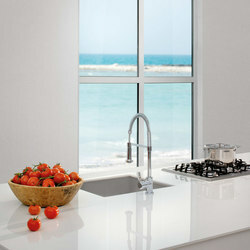 The catalogue will illustrate the main products and styles of doors designed to accommodate Laminam finishes. The specifically designed profiles for use with masonry and plasterboard, provide a perfectly flush finish between the door and the wall. Modulea is an Austrian company specialising in raised floors made with 1000x1000 mm and 1000x2000 mm modular supporting panels. The collaboration with Laminam stems from an awareness of the adaptability of Laminam 3 slabs, given their lightness, rigidity and resistance to this specialist application. The agreement with Japanese company Toto gives Laminam the opportunity to offer its customer the innovative photocatalytic treatment for outdoor applications.  Hydrotect is a process for ceramic slabs based on the principle of photocatalysis resulting in surfaces that clean themselves using sunlight and rainwater alone. 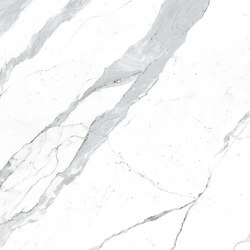 The process is applied directly to the slabs during production; it lowers maintenance costs and preserves the beautiful looks of Laminam ceramic slabs. In the building field, Laminam has a numerous partnerships, ranging from manufacturers of adhesives and tools for handling and fitting Laminam surfaces to companies making and selling fibre cement panels for interiors and exteriors (Knauf, that made the raised flooring in the Laminam showroom); cladding systems designed to fit Laminam slabs (the Mapetherm system by Mapei Tile system and the Ceravent system by Fortlan Dibi); ventilated facade systems (Laminam Esterna system with Metra and the development of additional alternative systems). Selected References for Interior and Exterior Architectural projects. - Showroom Ferrari nel mondo, dal 2009 a oggi. Selected Interior Design and Furniture References.